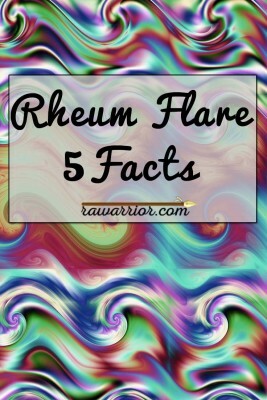 RA Flare – fact or fiction? If you want to laugh out loud, just Google RA Flare. No, not right now. Finish this first. Anyway, the topic of RA flare produces some very silly and contradictory discussions. For example Web MD offers How to Prevent Rheumatoid Arthritis Flares. If only. So today we approach one of the most misunderstood aspects of rheumatoid disease (RD). Like morning stiffness and fever and some other RD symptoms we’ve examined, the only straight scoop comes from asking people living with RD (PRD). I hope you’ll share your thoughts in the comment box below. Click HERE to learn ways to be involved. 1) Flares are not a universal pattern by any means. Disease patterns can be unique. Many people with rheumatoid disease (PRD) do not experience a flaring and remitting disease pattern, but constant disease activity. 2) Flares are only relative to usual disease activity. If usual disease activity is mild, then moderate disease activity would be considered an RA flare. If usual disease activity is severe, then flare would be very severe. 3) Injury or activity can create or exacerbate flare. If inflammation is present, then any insult or extreme activity is likely to make it worse in the same way it would with an injured joint. 4) Flares are not limited to joints. Rheumatoid disease activity is not limited to joints, so the concept of RA flare should not be either. 5) We do not know the cause of RA flare. But PRD are not to blame. The expression of rheumatoid disease patterns may be a function of subtypes of the disease. 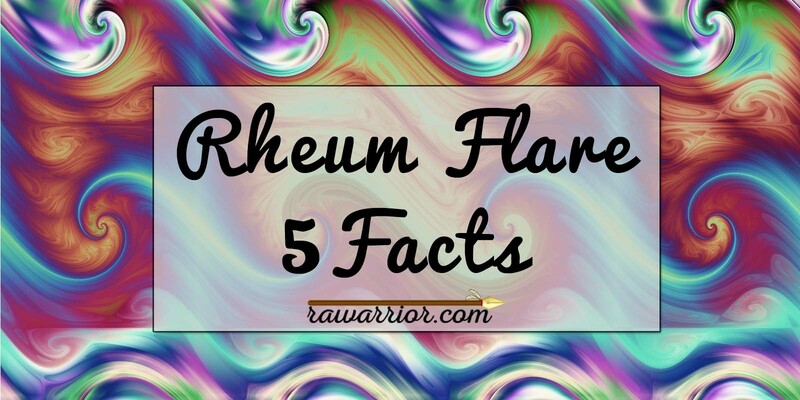 U.K.’s NHS says “treatment enables many people with rheumatoid arthritis to have periods of months or even years between flares.” I’ve never heard of PRD having years between flares – that would be called remission, which is limited to about 6% in the real world. That is a fairly accurate description of mild RA and I was glad to read it on the NIH site. It reminds me of my experience for over 20 years before I was ever diagnosed with RA. That mild type of RA seems to be mostly undiagnosable, except for in very early RA clinical trials. Seeing the NIH, CDC, and UpToDate acknowledge that RA flare is not universal is reassuring since most ACR members I’ve met insist that all rheumatoid disease is polycyclic (flaring and remitting). I have always believed other patients (and myself) even though I wished constant worsening disease wasn’t possible. How many PRD get time between flares? Let’s get to the bottom of it. Please share your experiences. 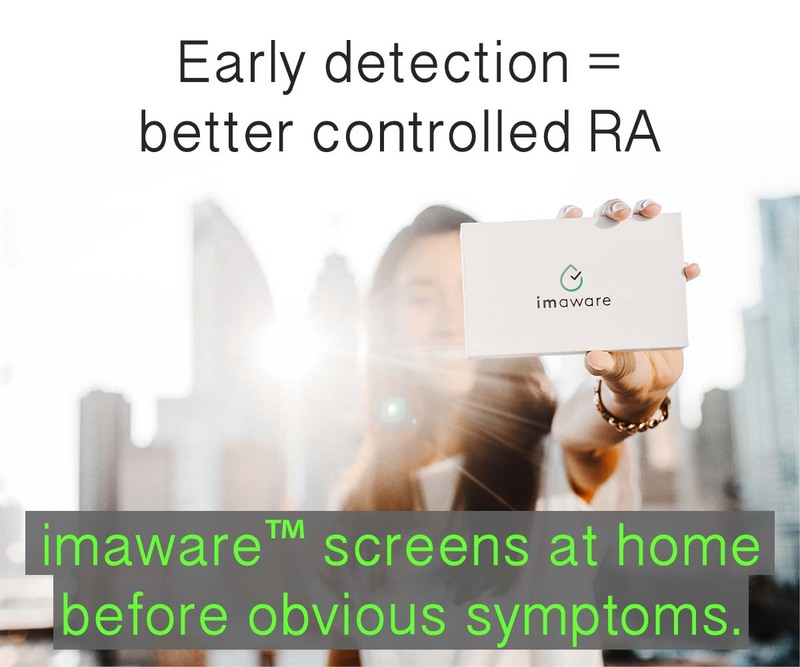 AS A PATIENT OR CAREGIVER, WHAT IS YOUR EXPERIENCE WITH RA FLARE? How often does RA flare in your experience? Choose one & answer in the comment box below. 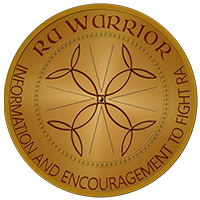 Do you have RA / RD? Are you interested in learning about a study for a new investigational medication? Click here to learn more. Constant flare. The neverending feeling of tiredness and waking up every night in pain. RA consultant answer was sleeping pills which is fine if u are not a busy mum of 3. Thank you for the post. I feel as if I am in some sort of remission right now. Does that mean that I have never had it.? Silly question to ask, because I know that when I cannot walk or sleep or lay on either side or use hands that I do have it and bad. I just cannot explain this not having pain at the moment. It is out of the ordinary and would love to know just how normal this really is. You are a great help in all of this Kelly and I wish you only the best. Also is it healthy for me to have stopped methotrexate and Simponi because of the no symptons thing. Am I making things worse.? I have just found out it is affecting my heart and there is clogging due to calcium build up. I see heart doctor next month. Should I be off meds. No doctor can answer. And i do not need sleeping pills to sleep 24 7s. I am always tired, just not in pain. I am definitely number 2. Thank you Kelly for everything you do, all the information you have put together and share so freely. It has been lifesaving for myself as well as countless others. Bless you! I experience number two, averaging constant low level symptoms with unpredictable periods of SEVERE pain, stiffness, sometimes swelling and overall malaise. Further, now having developed secondary adrenal insufficiency, a flare can cause an adrenal crash on top of everything. I think I have “mild to moderate” RA most of the time. Yesterday, however, was full of exertion. Today is a pain in the hip, the hands, the legs….you get the idea. I feel like crap. Last night, a sharp pain shot down from my leg into my foot. It only lasted a few seconds, but there was no apparent cause; I was sitting still. I hate this s**t.
I think I have “mild to moderate” RA most of the time. Yesterday, however, was full of exertion. Today is a pain in the hip, the hands, the legs….you get the idea. I feel like crap. Last night, a sharp pain shot down from my leg into my foot. It only lasted a few seconds, but there was no apparent cause; I was sitting still. I hate this s**t. No 2. Unfortunately I have had constant and progressively worse RD. we have yet to find a medication that lowers my disease activity. Last year I worked PT and my fatigue lessened, but other symptoms continued. This year I went back to FT employment. It has been a disaster. I think I have actually worked 1-2 full weeks since August. I will be going on medical leave soon and will more than likely end up on disability. RD is affecting me from head-to-toe. Most of the time I only have morning stiffness. So consider myself very lucky. But let my life fill with stress and things flare quickly. But one that I didn’t expect was from food. I had eaten a salmon dish prepared with a soy sauce reduction and with an hour was going into the start of a horrible flare. When I talked to my rheumatologist he said that some folks will have issues with soy sauce and MSG. Wish my previous rheumatologist had told me some of the things my current one does. #2….Definitely periods of tolerable punctuated with periods of intolerable. I’m definitely #2, coming back after 3 years of remission. Hi Kelly. Great post. I have moderate to severe RD. Im on embrel and sulphasalazine. Flares are so unique and different every time. I can get a flare where nothing is visible but can be in extreme agony (usually wrists or hands) then once the flare is wearing off (every time with a course of hard hitting steroids) and usually the next day, the area only then becomes red and swollen by which time the flare is almost over. Another definition of a flare can be where I literally feel like I’ve been run over. But no pain but With flu like symptoms and no obvious ‘sore’ area. Yet another can be literally aches and pains all over but then can be relieved with movement. All of which are targeted with different attacks of pain killer from paracetamol-naproxen-steroid. Depending on which kind of flare. All v unpredictable and with no warning. Thankfully steroids are not needed too much as my main medication is managing the disease well so far. I can lead a mainly ‘normal’ life but certainly not pre RD days. I tire easily from the differing flares..as they are hard to know which one is coming. I used to be #3, until the RA-Lung diagnosis a year ago, now I’m between 1 and 2. I do have “good” days, but they are few. Once the RA hit the lungs, everything changed, its all about the lungs now. Morning stiffness is not even as bad as it was before. What really gets under my skin….the ridiculous tv adverts for our biologics. They make RA sound like the flu. I’ve been on Humira for 10 years, its never made me feel good enough to put a playground together or be a professional chef. Oh! and the one that says “Your body was made for more than rheumatoid arthritis….” oh really? wow….how disenfranchising, like I could have prevented this somehow. clueless goons trying to sell their drugs that we are ALREADY taking. Also, due to the RA Lung, I have started the process for Disability retirement. Between 1 Oct 16 and 31 Dec 16, I missed 150 hours of work time due to flares, one that swelled my right lung and cracked two ribs, three weeks later I was in ICU with pulmonary emboli. It never ends. I haven’t been “well” in two years. My RA is on going..Meds work for a month or two then they stop and I’m back to square one. My flares consist of blisters on my fingers as a warning that I am going to have a bad flare as opposed to a milder one….All I can do is keep thinking and praying that this to will pass! I would say, I have constant disease activity, but thankfully minimal flares. I was diagnosed almost six years ago and have only had four or five flares. I feel extremely lucky. Those flares were extremely painful for 24 hours, but then it was gone. I do, however live on a daily basis with something. It could be swelling and pain, fatigue, stiffness. Again, I feel lucky that it is not severe. It is more of a nuisance. Good afternoon. Interesting article today. This really is something we PRD need to stressing with our doctors. I have a great rheumy, but even she believes I shouldn’t be having flares since we were able to get “some” control of my RD. I am back on the bike (bedridden and off cycling for 3 years. Cycling was/is very important as my hubby is in the industry) but I am not without pain and I do pay a hefty price for activity. When I have told my doc I’m still in pain and flaring she said that’s not possible. If I can ride, my disease activity is and should be zero. I let the matter drop as I know the truth of my body, but I’m realizing it’s something I should have pushed. And I consider her a great rheumy, took me 5 years to find one who believed me. And therein lies the problem. As patients we struggle to find a doc, ANY doc, who treats us with respect that we are willing to let important matters be left unsaid. Hey, we say to ourselves, at least we are being treated. We shrug and let it go. At my next appt I will be more forthcoming on this issue. The only way we can be heard is if we speak up. Loudly and clearly. We must force others to hear us by speaking as informed patients. We must learn everything about our disease. And that’s where I say a huge Thank You to Kelly. Without Kelly I at least, and I’m sure most of us, wouldn’t be as informed as we are. Thank again. 2. Fatigue is also an issue. I am not being”lazy” Thank you for all the information you freely pass in – it’s shows I’m not going insane as well! My disease varies day to day. My rheumatologist says i I have low disease activity according to test results. But there’s no predictable pattern. Often, the fatigue is worse than the pain. I have constant RD symptoms… mine doesn’t seem to be gone. I’m now experiencing peripheral neuropathy in my feet. Does anyone else have this? The chronic fatigue is a battle for me. I did have a “flare” I guess you can say, my toes and across the toes were very painful. Prednisone has calmed it down now. I have noticed my first finger on both hands is curbing outward. Great. Number 1. It’s consistantly awful. However, it can be worse than awful if i do too much, don’t do enough, sustain an injury, or for no apparent reason whatsoever. Also worse in the mornings, at night, and seceral times during the day… yet the releif doesn’t kick in, the pain meds just make it so i can get minimal stuff done without dying. # 1. No question – always progressing, always active. 24/7. I guess my good days are the more tolerable most functional days and the bad days are all the rest. I am definitely number 2 and right now in the middle f a medium flare. Good and bad days, but never back to pre diagnosis. Usually mediated by stress. I also have a flare every menstrual cycle – as soon as I ovulate it starts escalating, and right now I am having. trouble walking. With period cramps. Pre menstrual rheumatoid arthritis. I am happily a #3 for now. My daughter was always a #1, but she’s actually considered (almost) in remission right now. Her jaw is active, but her joints and lungs are quiet. Usually it isn’t considered remission until you have been off mess a while, but that starts with being symptom-free on meds for a while. I want to say it’s six months to a year symptom-free on meds. Your doctor should be the one to ask. They know your history better than we do. Taking yourself off can be very risky. Ugh! My rheum put me on Plaquenil. My fatigue previously was so bad that the idea of walking across a room seemed unfathomable. Today I would say my fatigue level is normal (praise the Lord!). I know it isn’t the answer for everyone but it did soooo much for me. It took 4 months to kick in but it’s awesome. I’ve been on it since 2012 with relatively few RA/SS problems. Good luck to you. I’m sorry you’re going through that- especially with little people to care for. I should also add that while my symptoms are mild they are still there. I often get the fluish/ feverish feelings, I always have one joint bothering me. Definitely there, but definitely way better than it “should ” be. The SS is worse than the RA atm. I try to be thankful for every day knowing what I will likely be in store for one day. I’m a #1), 24/7 RD girl. I feel the pain, fatigue, stress, anxiety, etc.. of this disease everyday of my life since being diagnosed back in 2011. It’s a crazy, horrible disease. I am 72 and only realized that I have had this nightmare all my life within the past 3 years. Each time I have attempted to get a diagnosis I have been shrugged off by physicians and others. I live in Ecuador so no tests readily available. I have given up on finding a doctor who understands and use medicinal marijuana for pain relief. It is helpful to me. Most people are ready to blame the PRD in all diseases where “your own body turns against you.” I think it is a grand cop out. I believe that everyone afflicted does what they can to relieve their suffering. I find stiffness and exhaustion after even minor exercise create a great deal of pain and send me to bed the next day. Healthy people have little sympathy for this type of disability. Thank you, Kelly for giving us a voice. Number 1! 24/7 constant disease activity. You made me realize that I also had mild RA for the 15 years I complained of joint pain to doctors before I got the official diagnosis. I’ve wondered if remission is a myth. When you live the reality of a very painful, progressive, debilitating, disabling disease, that really does get worse everyday, it feels nearly impossible to see hope. I want to say I am somewhere between 2 and 3, if that makes sense. I will occasionally get a really severe flare with chills and fever when I overdo. This year right before Christmas for days I was cleaning and baking for company and had a bad flare. It got to be funny because the only part of me that didn’t hurt was my right elbow. Took prednisone and went to bed and was much better in the morning. I have a new Rheumatologist and found out that I also have osteoarthritis and it is that that causes the joint pain when the weather is changing. Otherwise he says my RA is pretty much under control, unless I overdo. Weird huh. I wanted to add this to my post. Please pay attention to your body. I had the widow maker heart attack 5 years ago caused by inflammation. The pain radiated from my left armpit across the top of my bust to the right armpit. I had just had my back adjusted and thought it was from that because my back goes out just below my shoulders. If I hadn’t gone to work I would not be here. My heart stopped twice. Fortunately one of the guys I worked with used to be a paramedic. Later I read an article where a large percentage of people diagnosed with RA will experience a heart attack within 10 years of diagnosis. I was tired a lot of the time and would get out,of breath…. I just blamed it on the RA. So, please pay attention to what is going on and see your doctor. The fire chief said the cardiologist told him if they had been 5 minutes later to respond I wouldn’t have made it. So please don’t ignore those symptoms.RA can cause a lot of problems that I wasn’t aware of at the time. #2 Some good days intermingled with just as many days of flares. Serious fatigue like today for instance! I am on plaquenil and Remicade. I’d say 2 for sure. I feel fortunate to be able to get out of bed in the morning and hold a cup of coffee now. But between the RA and the methotrexate, I sure dont have the energy I had before and I dont have the function in my fingers like I did. My RA seems to be good, but really doesnt give me any info. 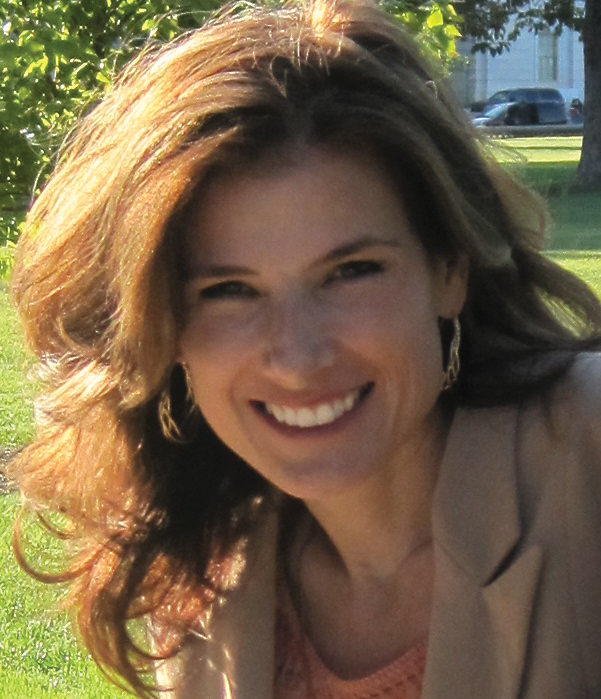 Thank you Kelly for helping me to understand this disease better. I have pain every day, a good day for me is when I can get things done however I am constantly fatigued when I push too much then I cannot move for several days – sometimes the pain is tear producing and the fatigue is unrelenting. So I am forced to apply the usage principle. Still looking for the right med’s recently stopped Orencia and increased dosage of methotrexate because I could no longer tolerate the migraine headaches and nausea. Seeing my Rheumatologist tomorrow and hoping for a new med. 1, never ever stops. Still working full time and spend all my energy on this. Don’t think it’s going to be worth it for much longer. Only on Mtx right now, I see the rheumy next week and I am dying to try something else not that it will work for long, but I would give anything for 6 months of relief.